Are you a beginner? 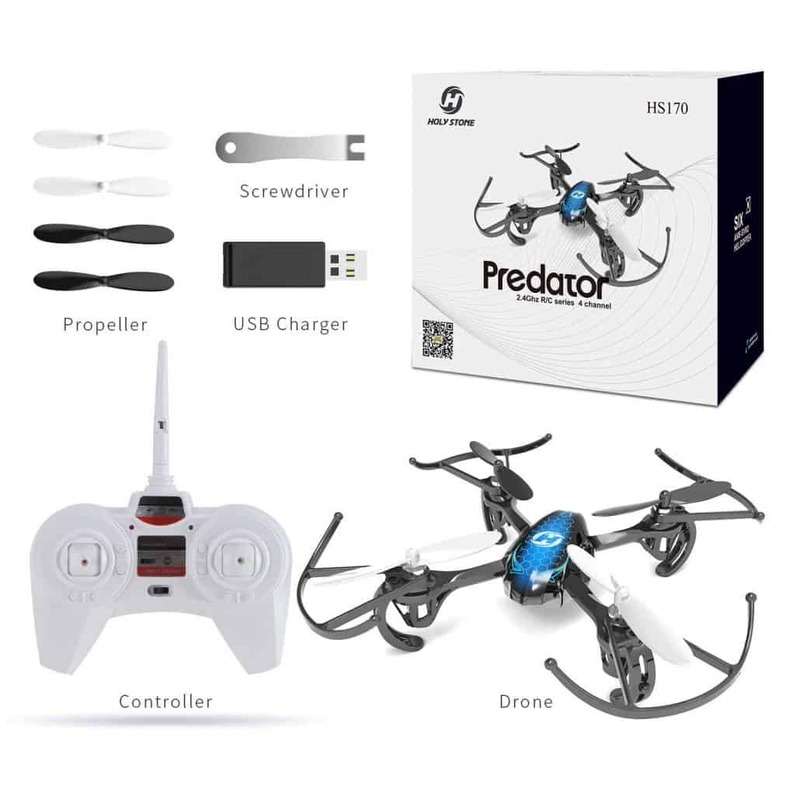 Are you looking for an amazing cheap beginner drone that will cost you less but performs professional maneuvers? If yes then worry not since in our exploration we are going to look in details the best cheap drones for Beginners. 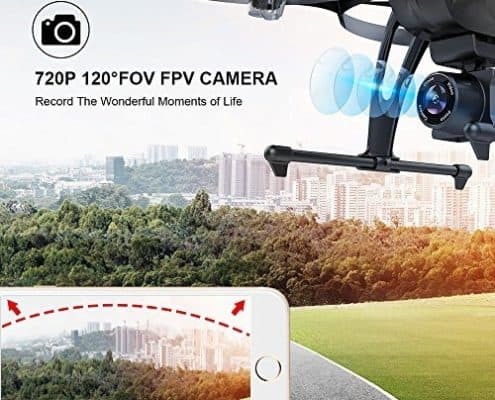 It’s a fact as birthdays and holidays comes and go, a good number of consumers are out there in the market looking for cheap drones and importantly enjoying the great and plentiful offers that are being given. 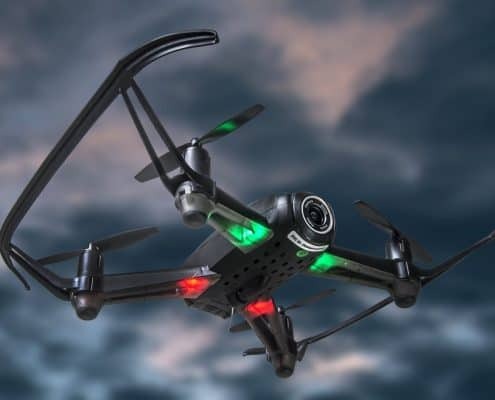 Numerous manufacturers have devoted their time to flock the market with some of the cheapest but highly performing drones and indeed many are very exciting models. Importantly, many companies have made it their duty to manufacture cheap drones that can be afforded by almost anyone who wants to get a drone for his holiday or birthday. The available drones below don’t cost too much, just depends on the type you prefer. Why not join the community and follow a large number of consumers have been thrilled to learn how to dip, hover and land the amazing drones. On that note, let’s look at the top 5 Cheap Drones for Beginners (Under $300). 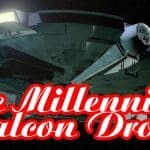 So what are the best Cheap Drones this 2019 you ask? 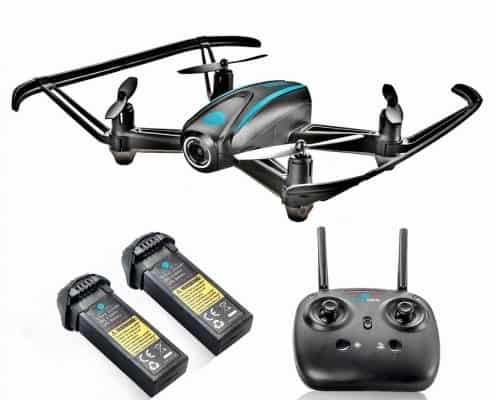 The Altair Aerial AA108 is one the newest drone on the market but does tremendous things when it comes to its performance. 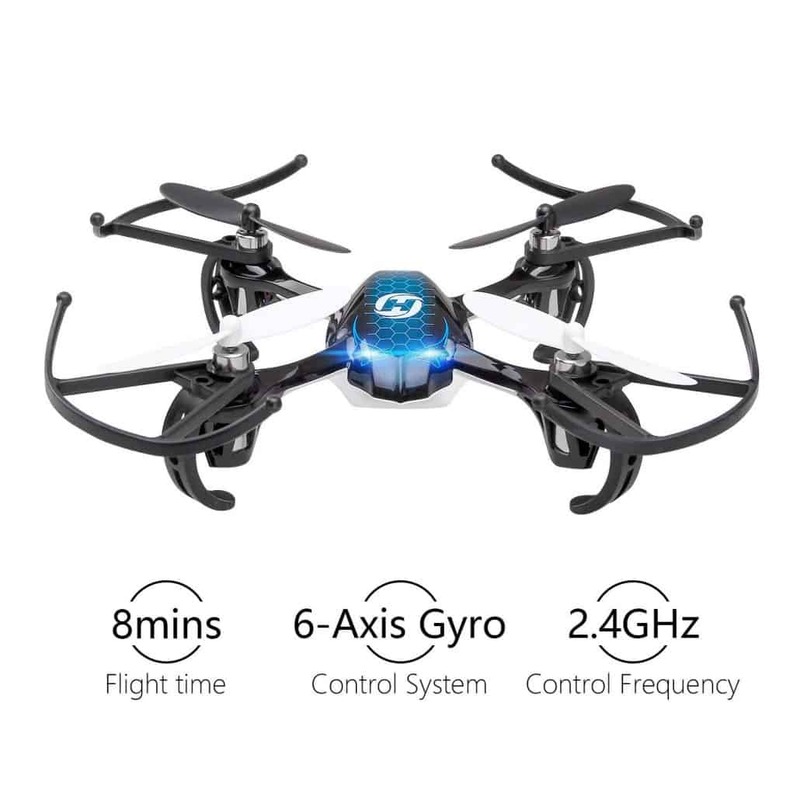 This a perfect all-skill-levels drone that is majorly focused on providing a nice experience particularly for the first time users. 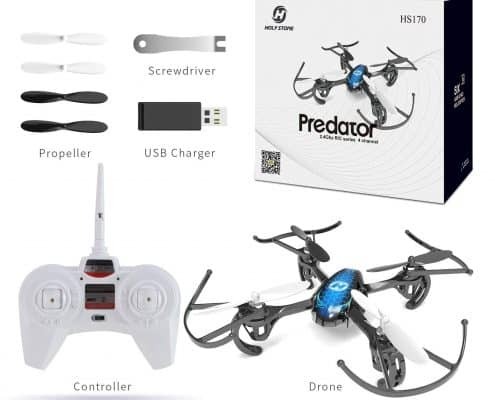 Additionally, the drone comes with a great price, you could drop this one in the lake and I’m thinking you’re not going to cry over it, maybe the kid though! 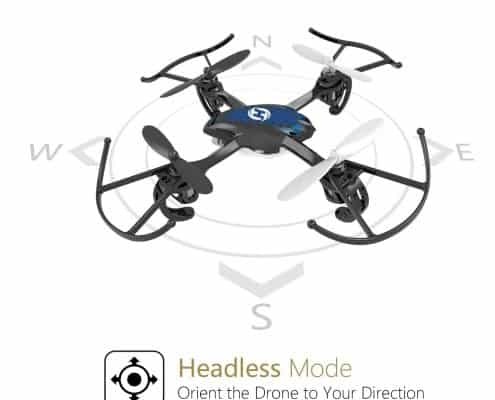 The drone has a headless mode function that is very useful when it comes to kids and beginners and importantly flies easily due to the fact that it has an altitude hold mode, where she just hovers. 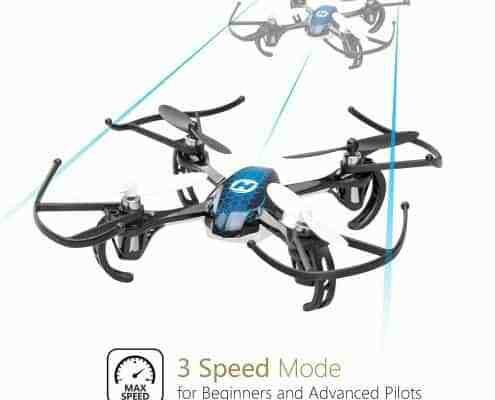 If you’re looking for an affordable drone, this the best one to start as a drone pilot. 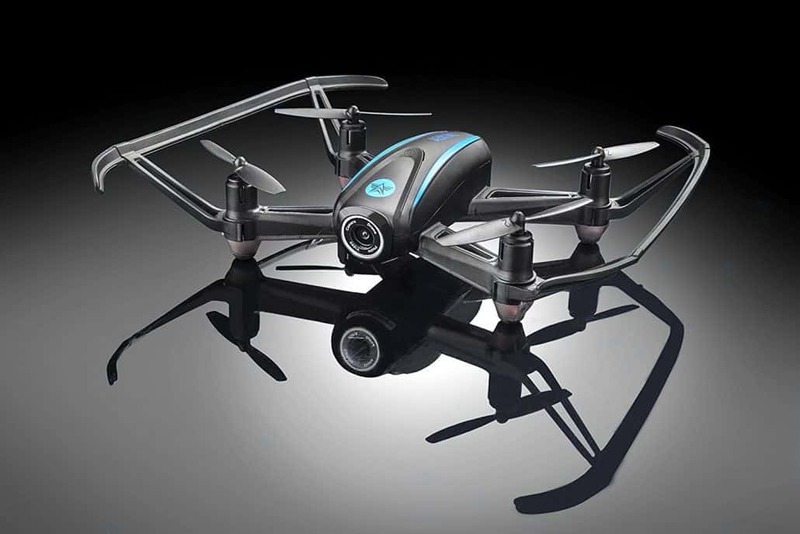 The Altair Aerial AA108 Drone will cost you less and give you an excellent performance. 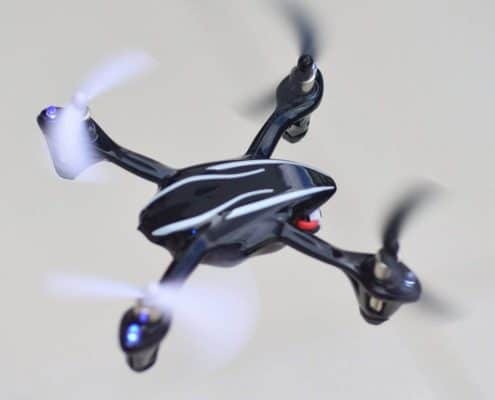 When it comes to Durability, the Altair Aerial AA108 Drone is one of the “long-lasting” machines with its quality plastic. 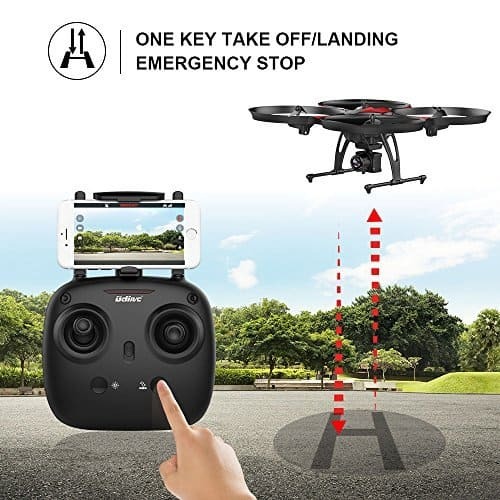 In case of an accident, this cheap drone doesn’t break easily. Its stability is another amazing thing when it’s in the air. 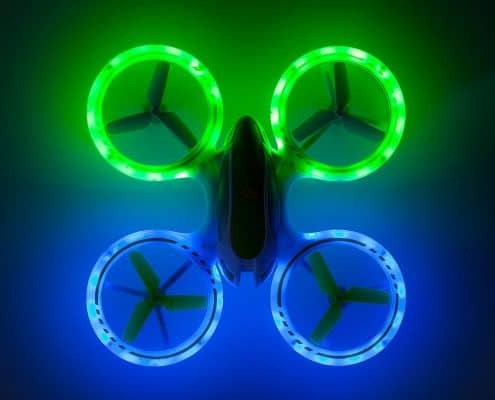 The device normally has three modes that you can switch between as you fly high in the air. The flight modes are 1 for a mere beginner, 2 for an intermediate and 3 for experienced and advanced flyers. This machine gives you a long flight of about 10 minutes and a range of 100 meters. 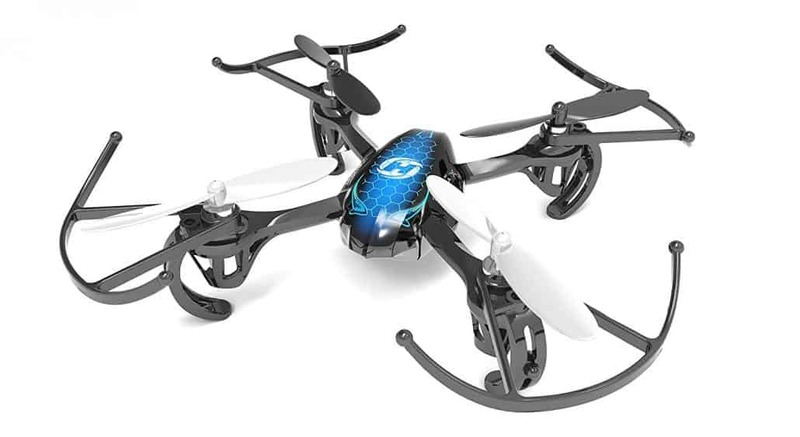 This is indeed an awesome deal for an all-ages, real solid drone. 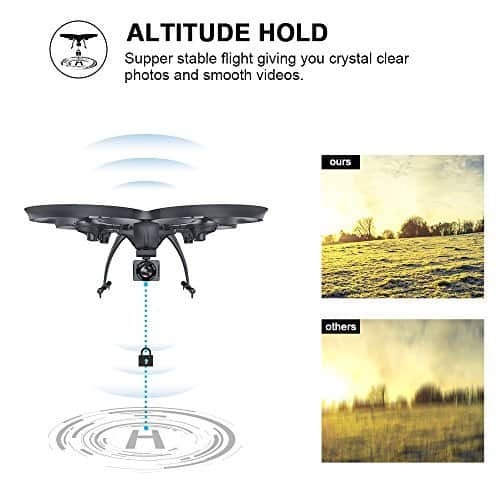 From the manual, you can get everything you need in for the Altair Aerial AA108 is concerned, from the functions of all the parts to creating a connection and even how to fly the damthing. However, sometimes the manual is almost not necessary since the controls are conveniently laid out,making it a perfect choice for those who have never flown a drone before. 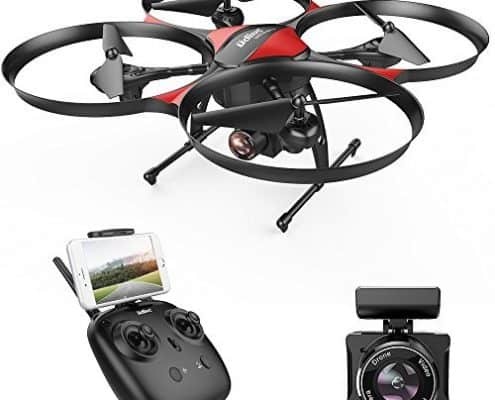 A combination of low price, quality pictures and videos that can be viewed from while flying with the app, and the easy to use controls make the Altair Aerial AA108 an ideal option for any beginner or kid who has not had the experience before. 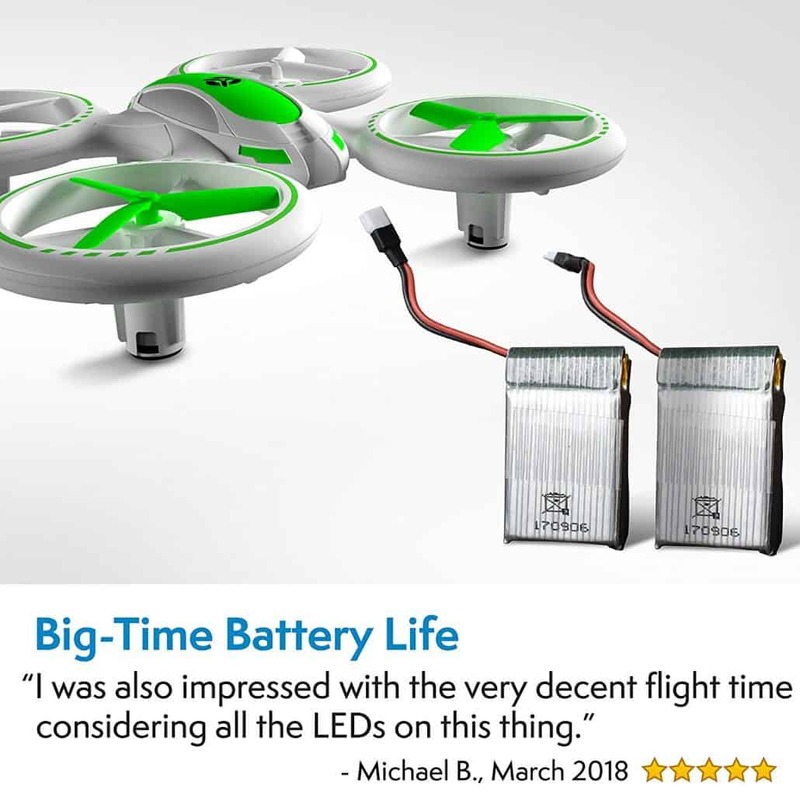 If you have any question, concern or issue with this cheap drone, the customer service is apparently great with these guys and you get results fast! The customer service with these guys is great, they are always ready and willing to help you with any problems you might encounter. 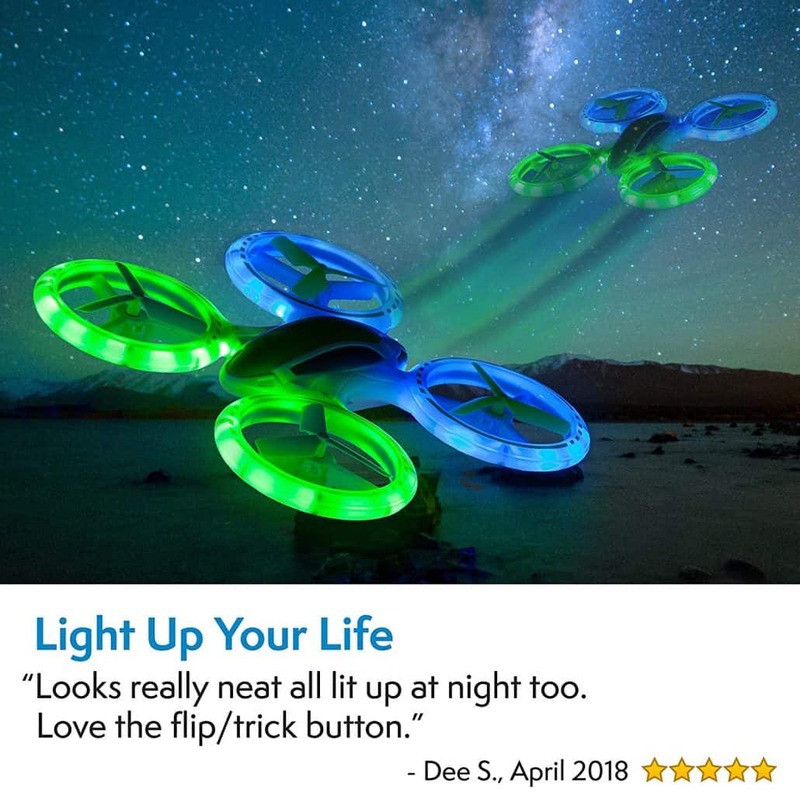 This is another awesome choice of cheap drone that won’t break your bank but comes with some of the best features that anyone can like. Importantly, the U818 is actually an updated version of the DROCON’s U818 and it’s an ideal option for the beginners. The drone and be easy controlled using one hand, impressive! 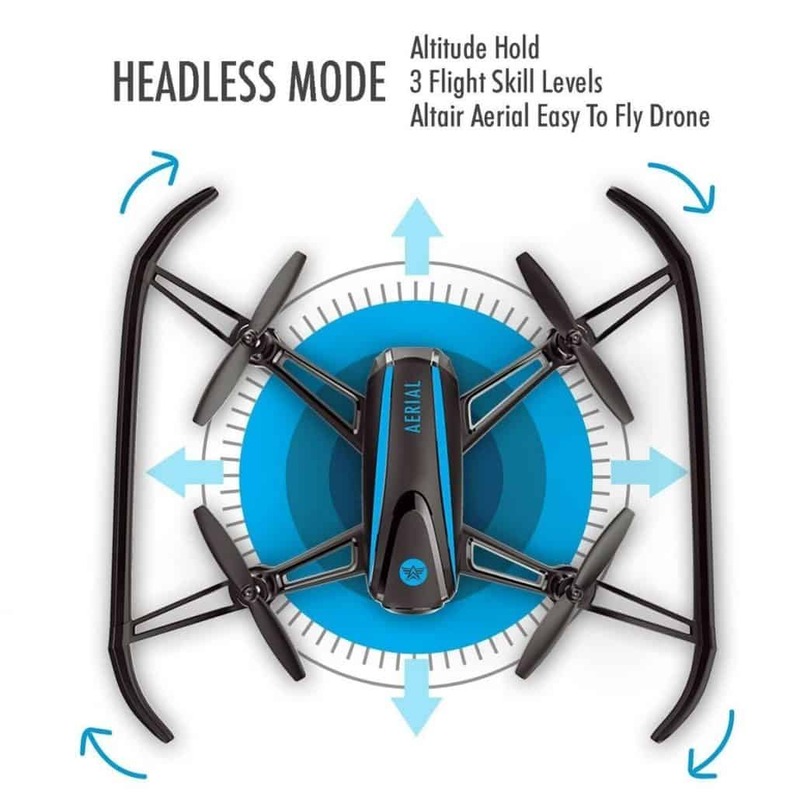 Additionally, the drone has an improved hovering mode feature which the outdated version did not have. In terms of durability, the device has incredible prop guards and longer landings gears which helps. 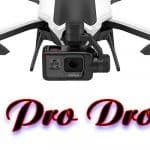 This is actually a feature that is very significant for the beginners since that it’s obvious that you will crash the drone several times as a beginner. For that reason, we always recommended that you take a cheap drone that can withstand a number of hits. One of the best features of DROCON U818 compared to many of the competitors is, its long-lasting battery. The battery can last up to 15 minutes which is not a normal thing for most of the beginners’ drones. It might not sound impressive to some of the experienced flyers but a good deal that any beginner should go for. This feature is really great is the main reason why U818 should actually be at the top of this list compared to many of the other models, longer flight time with less charging. 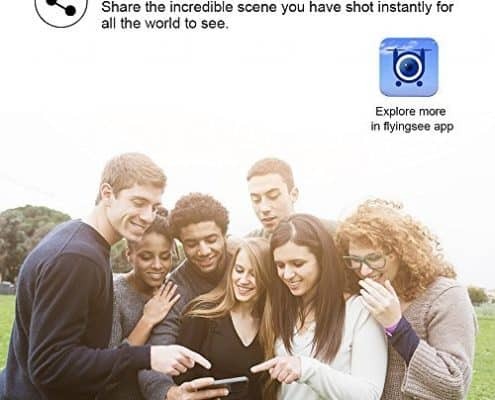 The DROCON U818 comes with an updated smartphone App-FlyingSee. The app works both on Android and IOS systems, with an operational channel guide. 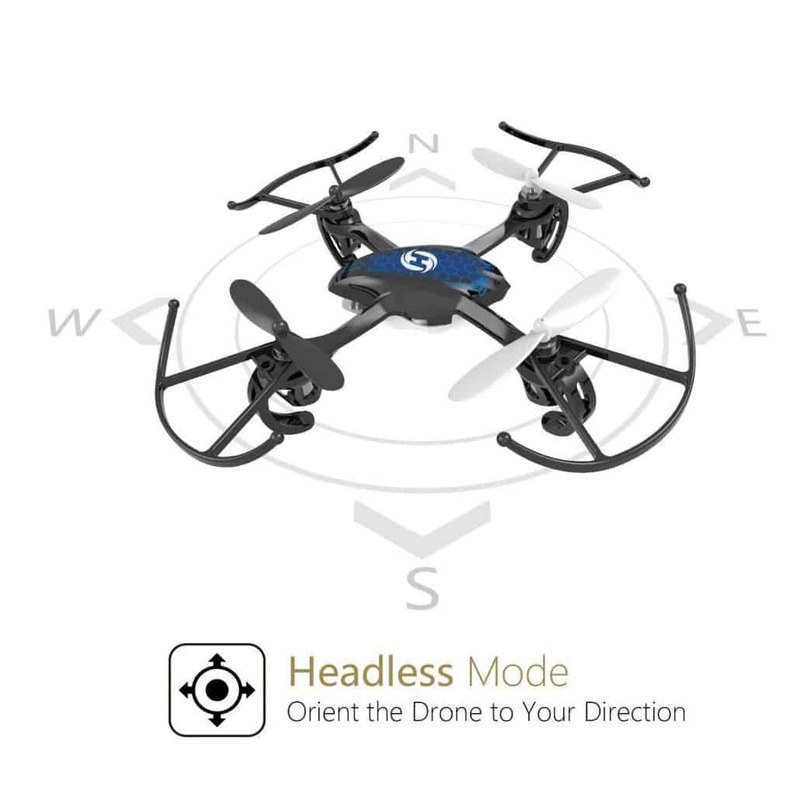 Its altitude hold mode brings about an easy flight, headless mode helps in avoiding confusion about the direction, the out of range low battery alarm aids in avoiding the loss of contact. The drone has an intelligent operational and importantly one button landing/take off and emergency stop. Some of the upgraded equipment in this cheap drone include A 1000mAh Lithium Polymer Battery, 720 HD Camera with an angle of 120 Degree wide and importantly ergonomic designed Remote Control. It’s also equipped with landing gears that are lingered for the purpose of stability and more professional to get videos and pictures. 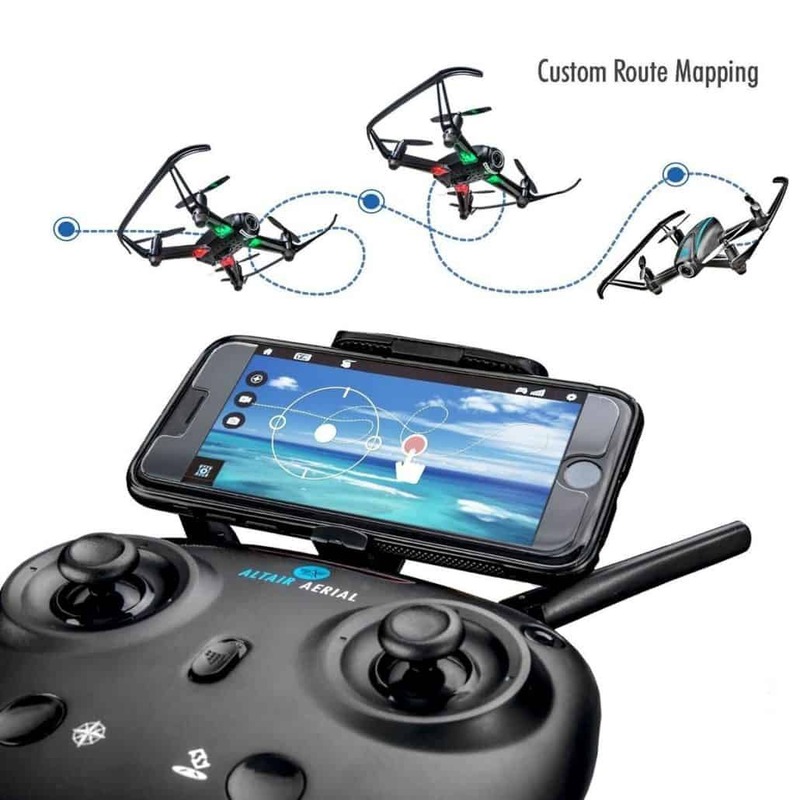 The custom fight route mode is another great feature that has made this drone one of the top cheap beginner’s drones. 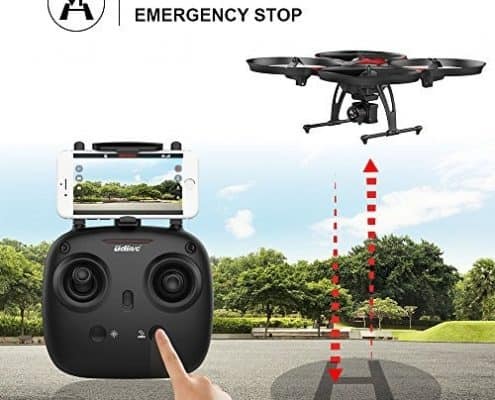 What you only need to do is to draw a flight line on the mobile screen and the drone will just fly according to the flight line. The controls are easy with the altitude hold mode. You have in one way or another seen some drones that drift away very easily, with the U818, this is not the case. The machine is trouble-free and equipped with an improved barometer that is very important for stable flight and accurate altitude holding. With this feature, even beginners are in a position of piloting excellently. 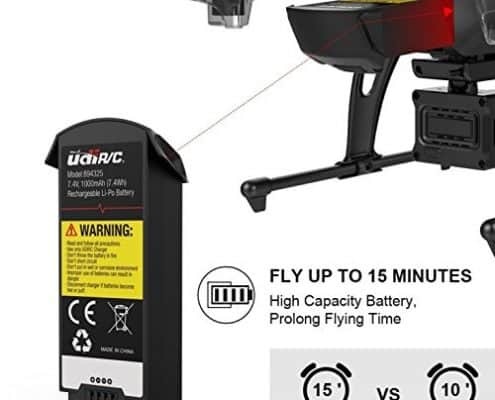 Prolonged use of the drone’s battery makes it run out of charge quickly. 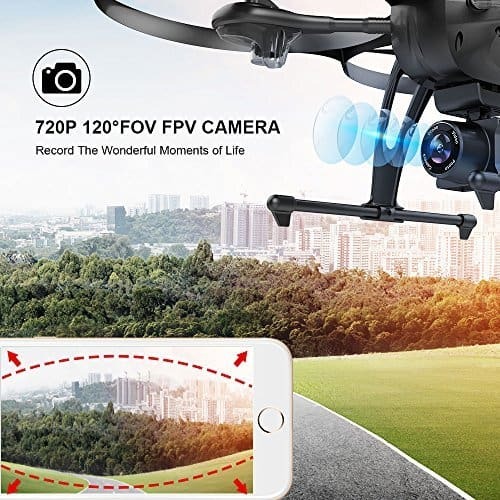 This is one excellent cheap drone that comes with a great feature that allows it to be seen from incredible distances. Its prices are not bad and lie between $50 and $60. 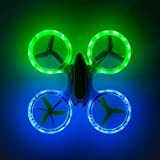 UFO 3000 LED drone has a green and blue vibrant LED lights that can be used to see drones that have lost from sight due to flying in low visibility. The drone was designed purposely for beginners and for that reason it has multiple features that enables a beginner to use easily use it. Some of this features include multiple flight modes, precision piloting, and added stability. 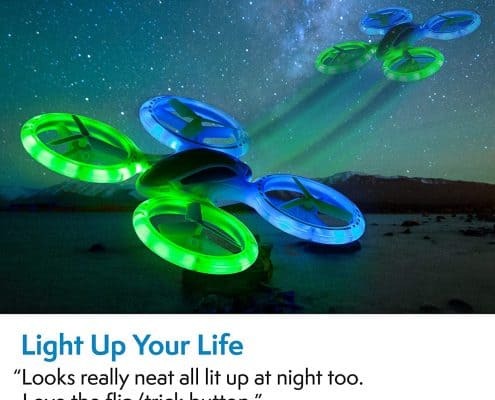 Additionally, the gadget has 3D stunts which are specifically meant to light up the sky with amazing acrobatics. 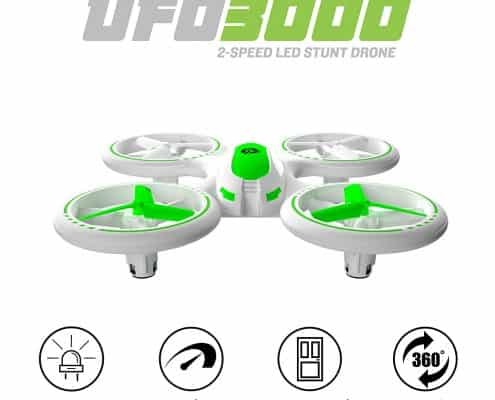 You can always watch it glow as you perform your amazing 3D stunts in all the angles with just a single push of a button. 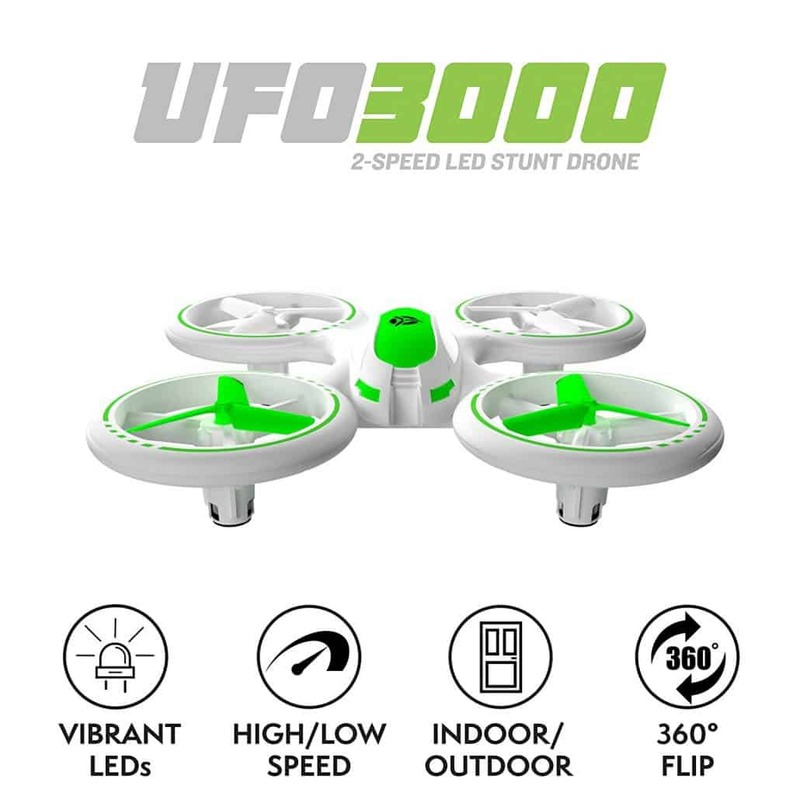 Moreover, the of the UFO 3000 is in such a way that it is streamlined and super lightweight to make it more aerodynamic so that you can zip it at very high flying speeds. 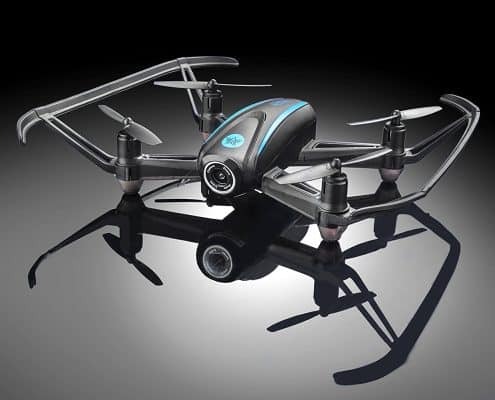 The drone offers you long times of flying roughly 7-9 minutes. 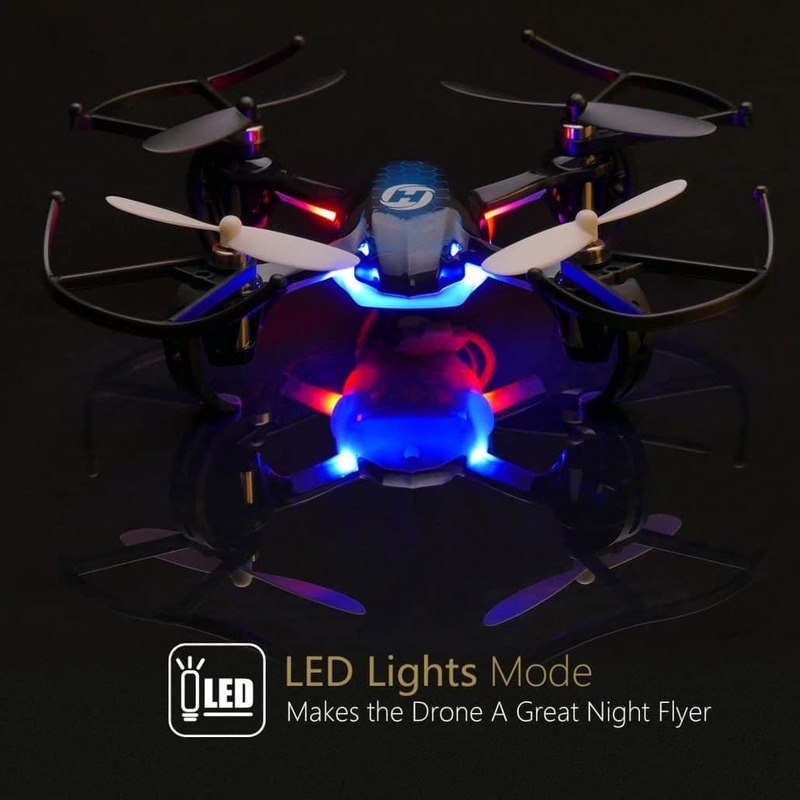 This includes a lithium battery bonus of 3.7v which literally double your flying time. Importantly, the UFO 3000 is a great gift that you can buy for your girls and boys. You can but as a Christmas, birthday or even special occasion gift. Additionally, this one the kid’s favorite quadrotor that is really enjoyable when it comes to flying it. 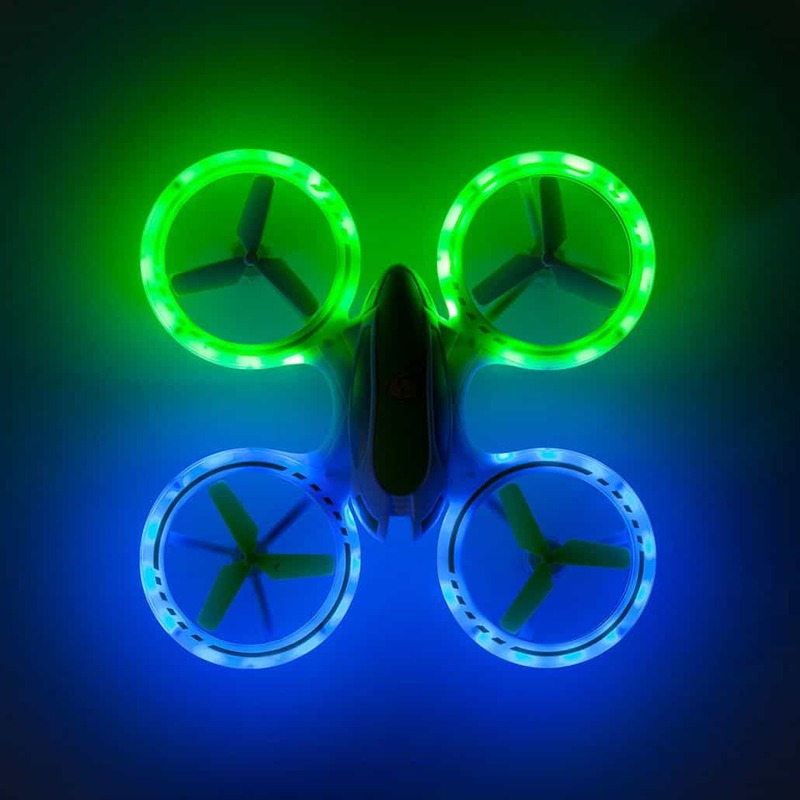 Its bright colors make it fun and super cool to fly at night, it’s indeed an ideal option for young girls and boys or any other beginner who has not used a drone before. Has A Whole Bunch Of Features! Furthermore, the sellers of the drone have an excellent technical team that is always ready to help you when some technical issues arise. 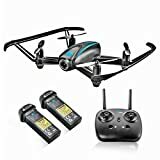 This cheap drone has a unique experience and very good for any type of beginner. It is relatively easy to fly and it’s always important to get used to its controls before you start flying it. A combination of its small size and lightweight makes it very stable in hovering. It’s very durable and makes a wonderful gift for your young ones. 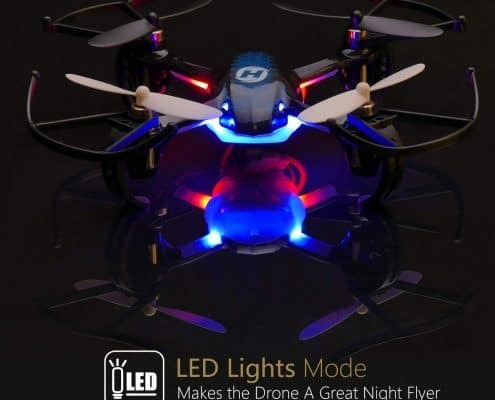 Its LED lights help to avoid losing the drone in a low visibility situation so that you can enjoy high speeds, outdoor fun, and stunts both day and night. The average charging time if its battery is approximated to be 1.5hrs and it normally comes with 2 batteries which you will have to switch between when they have run out of charge. The average flight time is 20-30 minutes between the two batteries. The average charging time for its battery is approximated to be 1.5hrs and it normally comes with 2 batteries which you will have to switch inbetween when they have run out of charge. 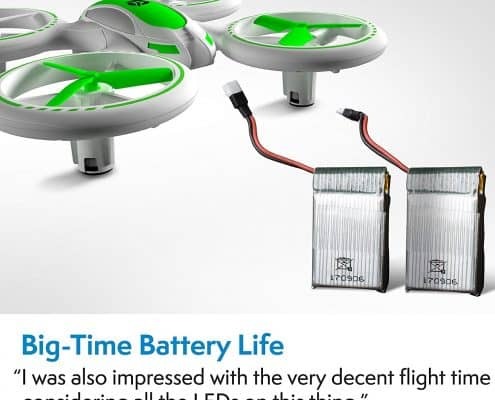 The average flight time is 20-30 minutes between the two batteries. Easiest to learn and to fly and importantly set up. If mishandled, it can break down easily, it should be flown carefully and avoid hitting walls and other obstacles. 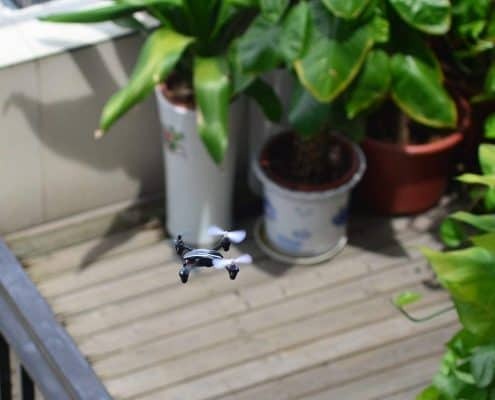 This is one type of beginners’ drone that’s a lot of fun and it’s actually real small, the size of a palm. 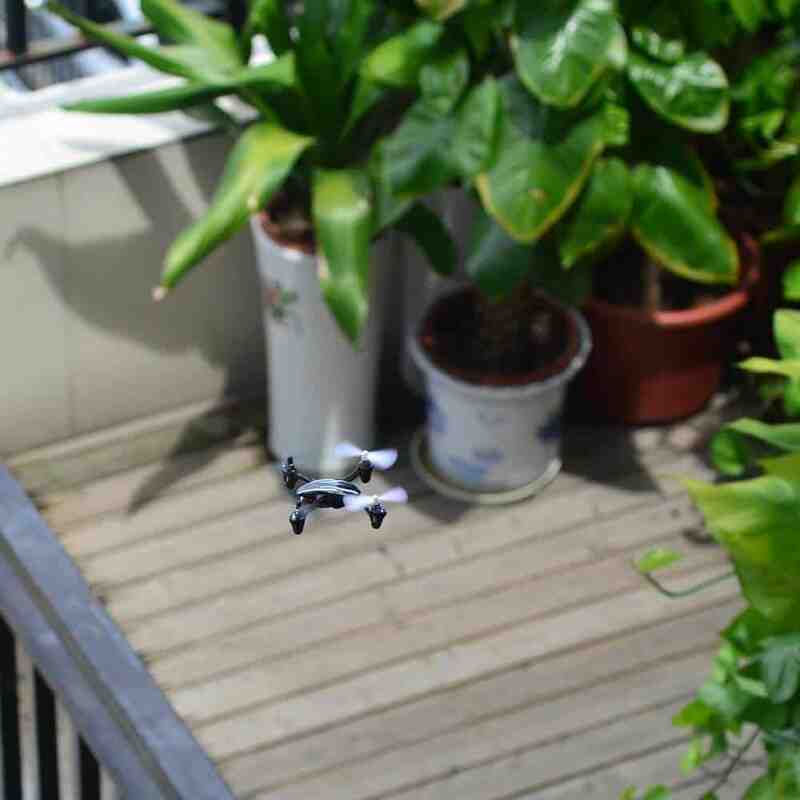 Importantly, this cheap drone can use in both indoors and outdoors. 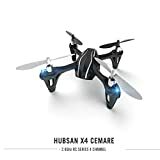 The Hubsan X4 H107L4 has very nice batteries and actually, research indicates that the drone is one of the popular devices when it comes to beginners drones. 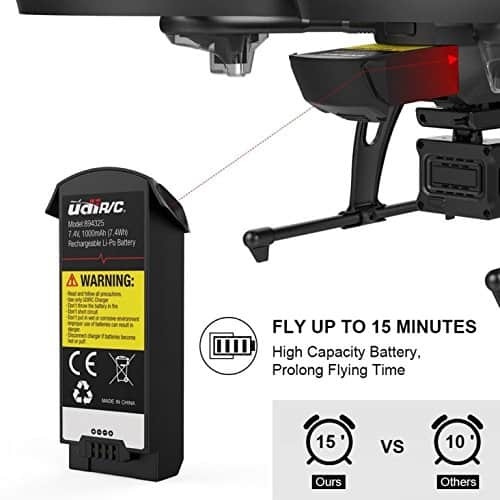 The drone comes with a USB charger that charges it and it’s always ready to fly when everything is ready apart from the controller’s batteries. 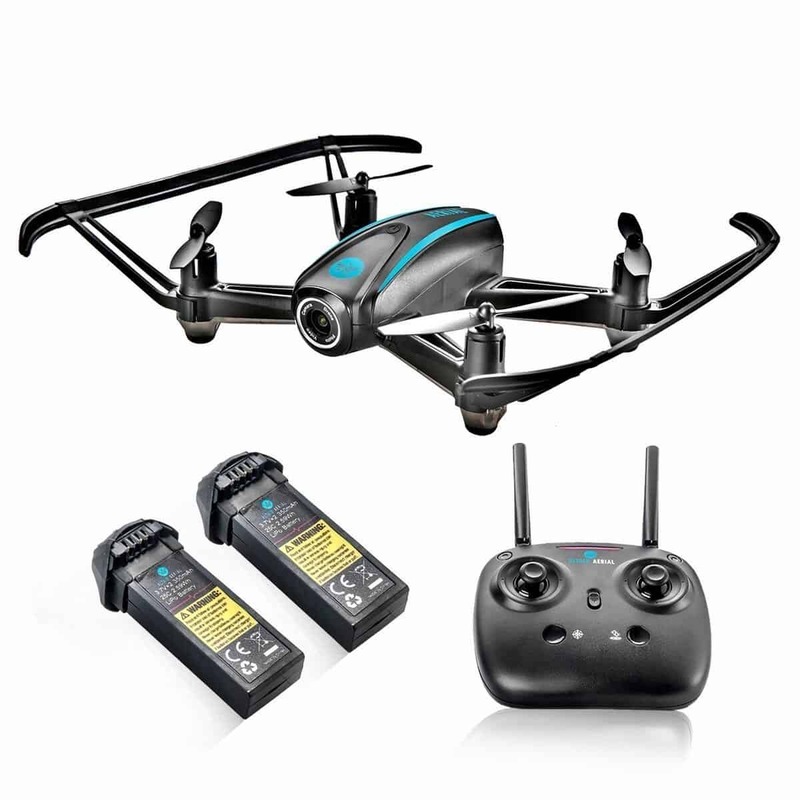 The Hubsan is known to be agile and fast, therefore, getting great batteries for it is one good idea when it comes to increasing your flight time. 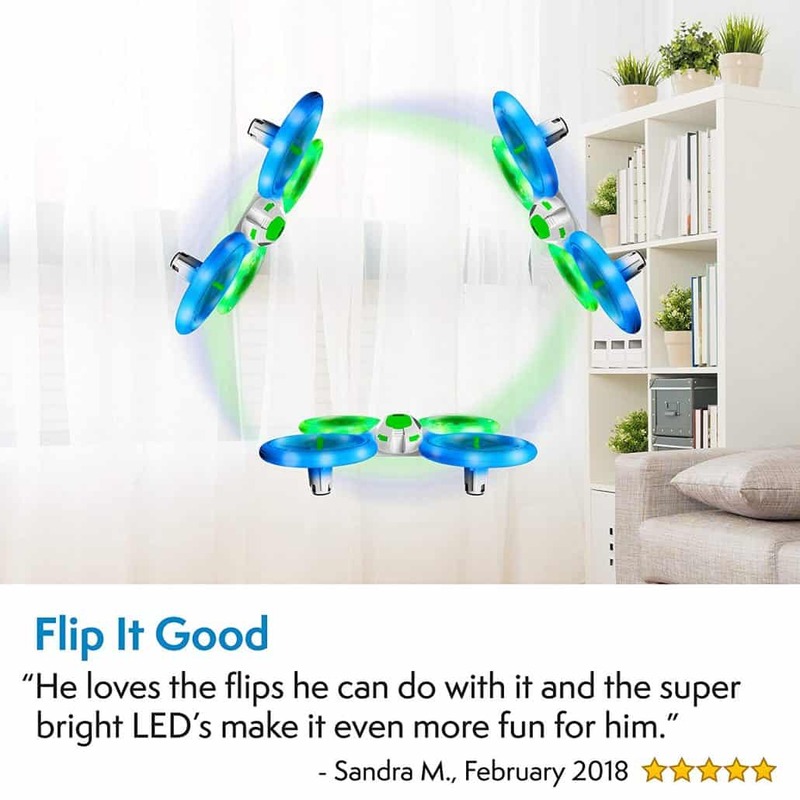 It’s a perfect match for kids so that they can fling it around. 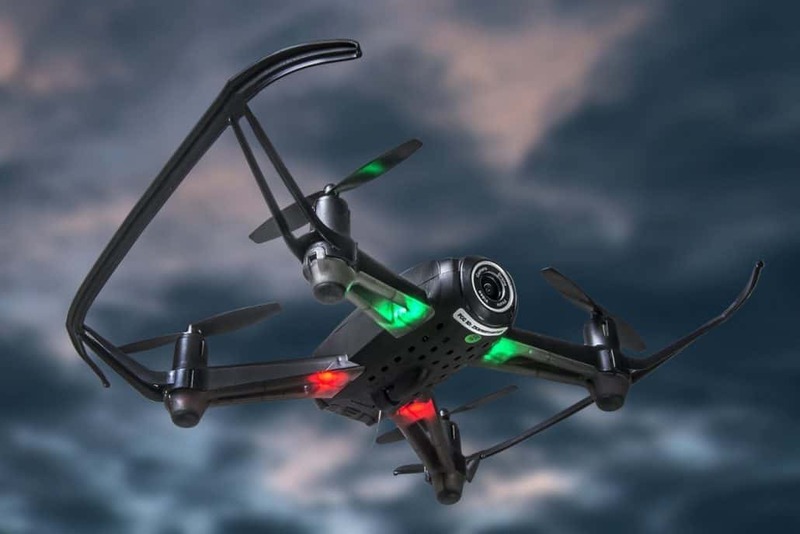 The latest version of this cheap drone is able to control the system with the adjustable type of gyro sensitivity. 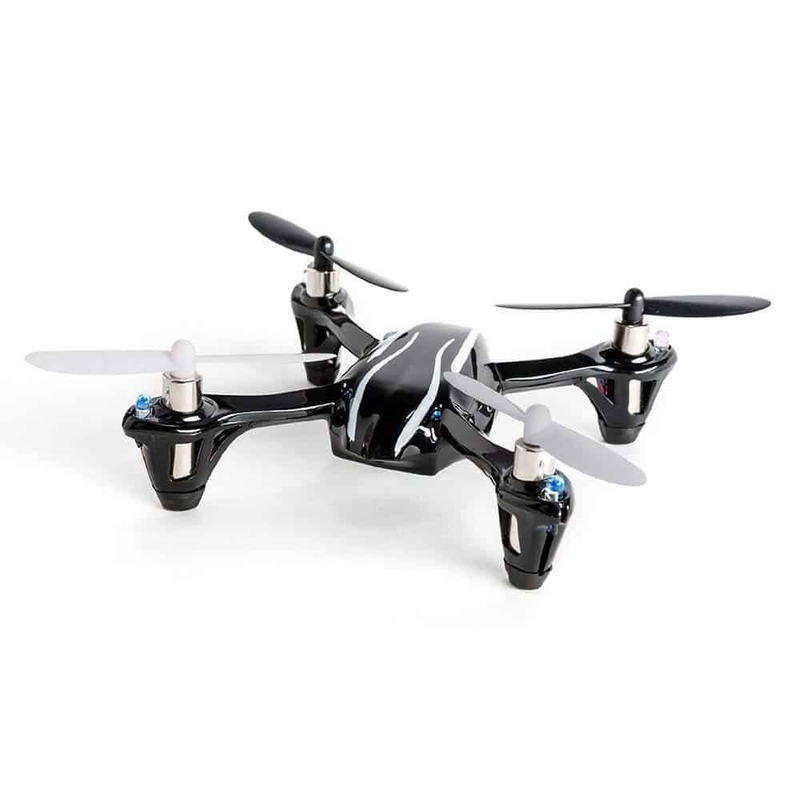 It equipped with four channels and importantly a super stable type of flight, lightweight airframe that allows a great durability. The four channels 2.4 GHz LCD display transmitter collaborates with sensitive and adjustable modes that are able to command expert and normal flights. 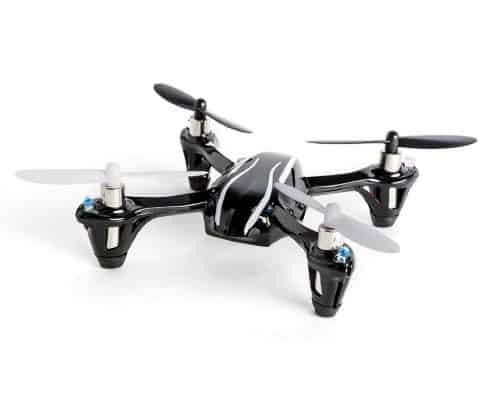 The drone is relatively cheap and costs around $33.98. The drone might look small but trust me its performance capacities belies its size with it being able to fly in outdoor circumstances while depending on wind. 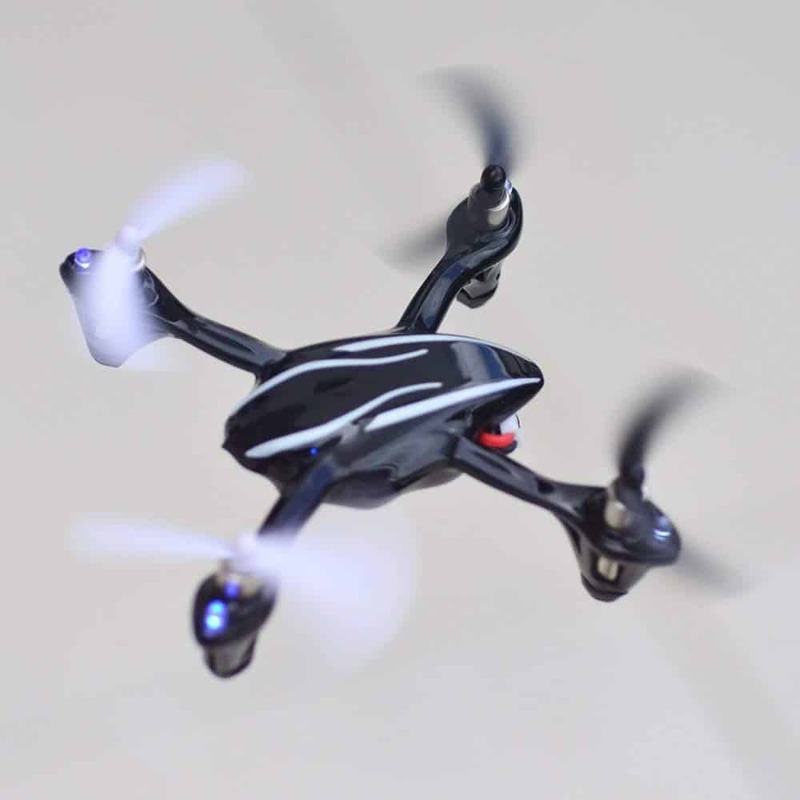 Moreover, the Hubsan X4H107L is a very suitable micro quadcopter for all age groups and experience levels. 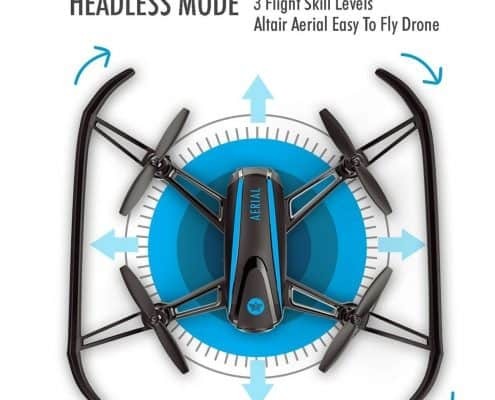 The drone offers a maximum flight time that is approximated to be around 9 minutes with its range being about 30 meters. One of the major reason why it’s always recommended for the young kids is that it’s very stable in the air, specifically in the air. The drone has the ability to fly aggressively and very fast but you can also fly it conservatively if you wish. This kind of versatility that is owned by Hubsan X4H107L actually makes it a perfect choice for beginners. Without a battery, the drone weighs about 28grams and due to its lightweight, it has a tendency of being tossed around by the wind. Therefore, it’s always important that you fly it outdoors when the weather conditions are optimal. The X4 design is companies with an all-black coating with a pair of white streaks on both sides of its body. Importantly, it comes with a small rubber foot that is meant to absorb the landing. Its responsive and easy-to-use controls make it an excellent choice for the newbies and can get used to it relatively quickly. When purchasing its batteries consider getting extras since they will extend your flight sessions three-or-four folds. It durable given the material that is used to make it. This means that it can manage a number of hits and crushes that beginners must always make. Great Quality and a powerful LED. Very fast with a great handling, responsive with plenty of power. This One Is Worth The Money! 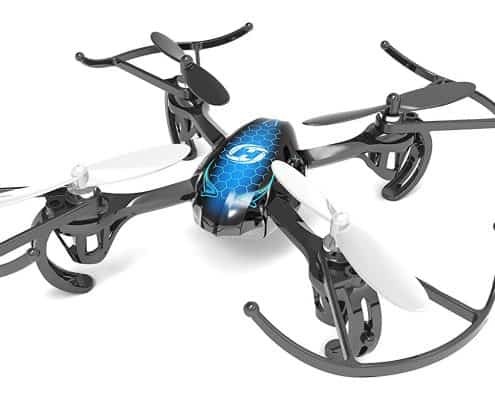 When it comes to affordable drones for beginners, the Holy Stone HS170 is the powerful best option. Many customers have reviewed the product term it as the favorite for the price. 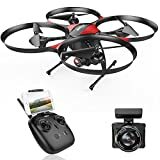 The drone has quite a good speed and it’s actually one of the best options for flying around your place. Moreover, its controller is pretty standard Xbox-style Format and the HS170 can literally stay in the air for approximately 8 minutes. 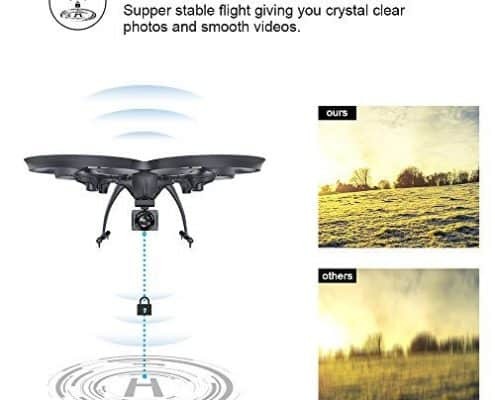 The inbuilt anti-interference system allows you fly more than one drone at the same time. However, for this to be possible, you must have all the 6 batteries that are required. 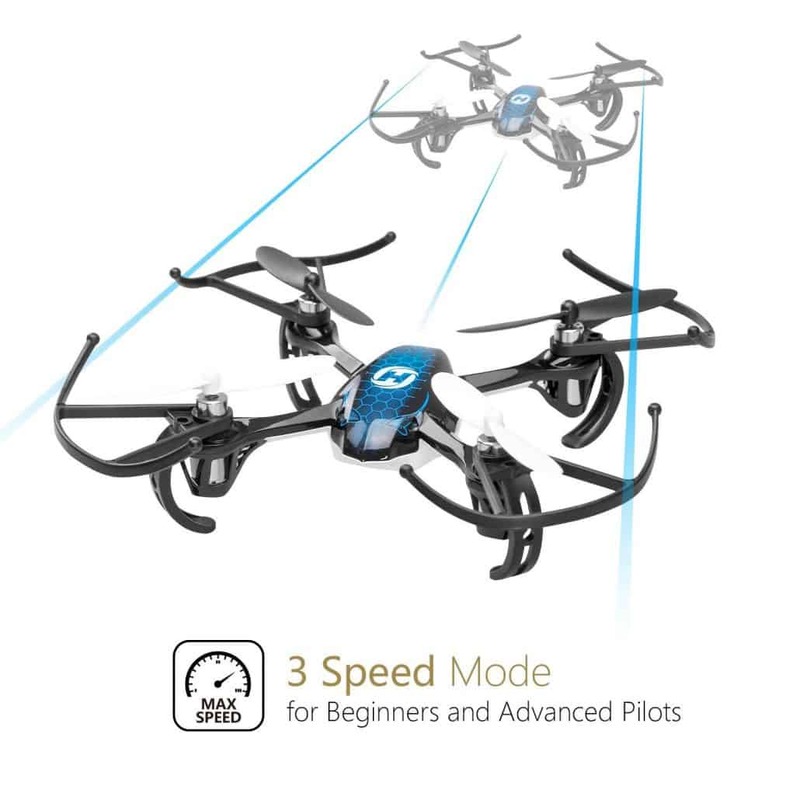 Furthermore, the drone usually comes with three-speed settings, the first one is the low-speed setting which is normally the perfect for beginners makes the drone to have a low response. The fun of it is to find yourself in the high and mild setting but this cannot be friendly for a beginner who has not used a drone before. The drone is very responsive and durable and importantly offers you a precise control in all cases of crashes in both indoors and outdoors. 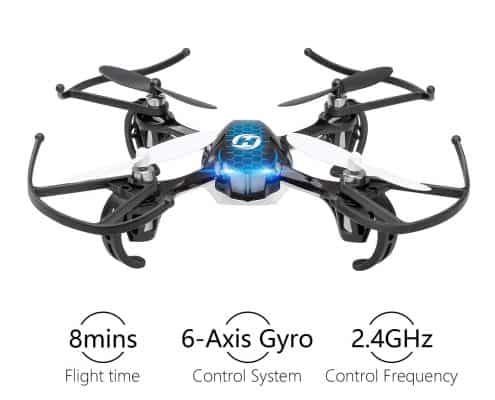 In nutshell, the drone has an amazing performance and great value for its price. Although it looks small, it has a decent and responsive performance and easy to control, all kids can use it without any issue. Holy Stone HS170 can handle, crashes, bumps, and fall quite well. 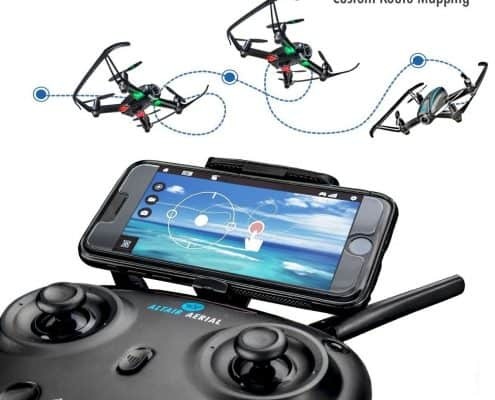 Its controllers have your typical throttles that enable you to make up and down motions and the left and the right lever that actually rotates the quadcopter. Most importantly, this drone is very fun to fly. You need some knowledge for you to understand the instruction booklet. 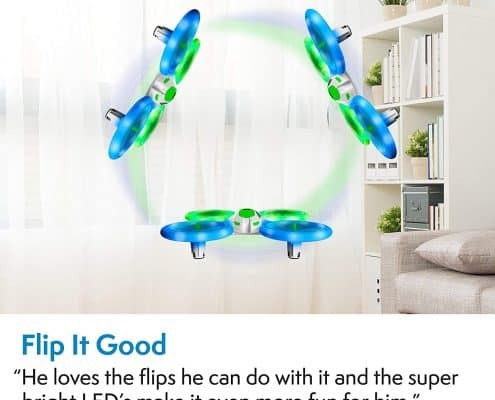 If you want a cheap drone for us messing around with, maybe you just need practice, or you’re looking for something for the kids, well, you have your choice. So make the right one!